With all the excitement about having a new baby in the house (see my last post about Shaun the sheep) I have been fairly busy and unable to get much crafting (or anything else) done. 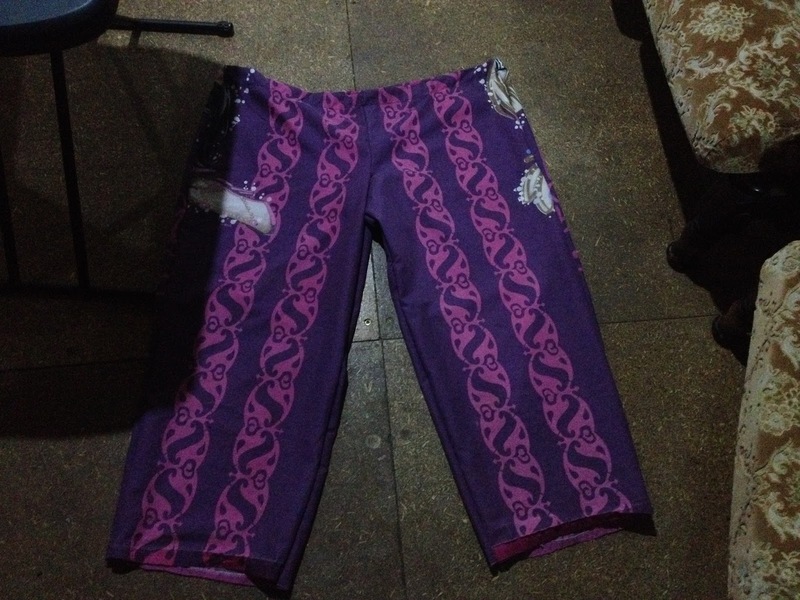 This week I finally got to making myself some new pants. 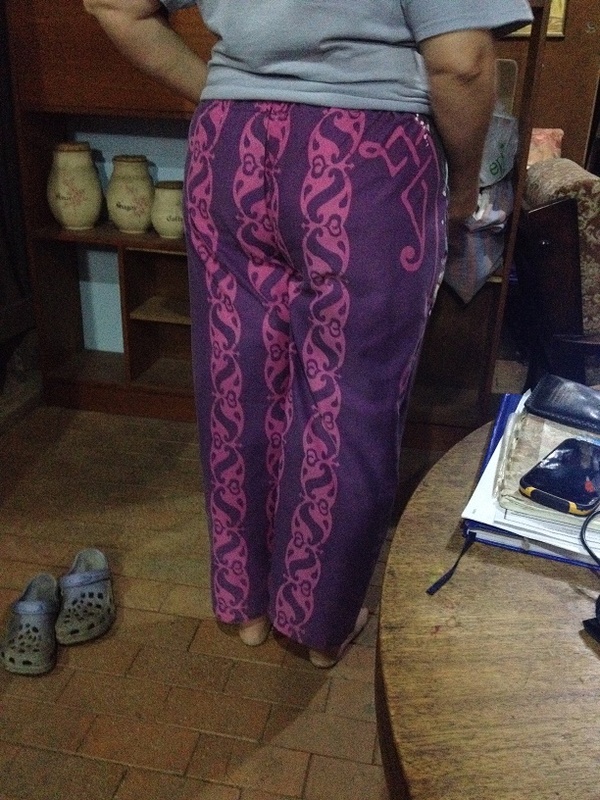 I have been making pyjama pants out of old flannelette sheets for some time using a pattern I made from an old pair of pants (see my post about it here), however this pattern is a little short in the back and results in me showing some bottom cleavage when I sit down or bend over, so I thought it was time to upgrade my pattern. After a lot of diverting searching on the internet for free patterns I came across this one from Laura Marsh Sewing Patterns which I downloaded, saved and printed out. 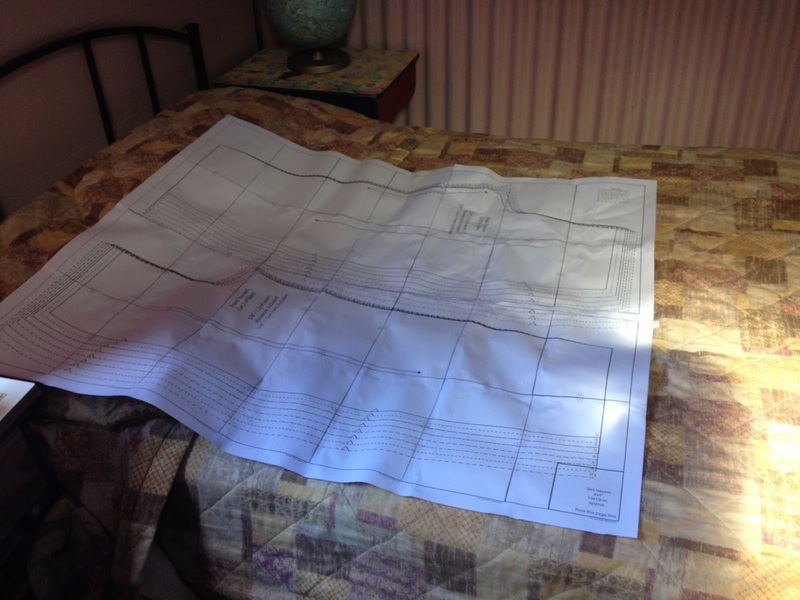 The pattern pages were glued together in order, which was a bit like putting a jigsaw together. 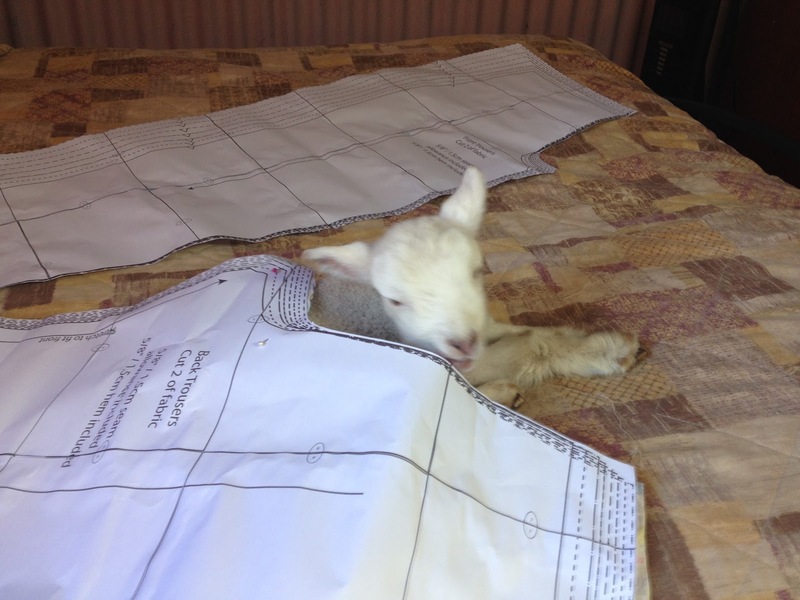 Then I went looking for some fabric to try the pattern out on. 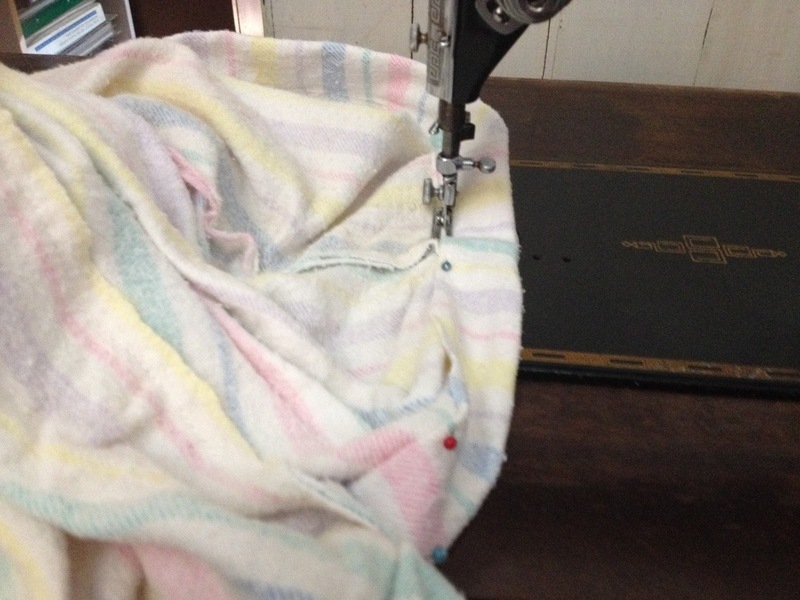 In my box of useful bits of fabric I found a Bratz quilt cover, given to me by a friend wrapped around a joey that had been rescued from her mother’s pouch after a traffic accident. I washed the cover, liked the colour and pattern (if not the theme) and decided to put it away for future use. 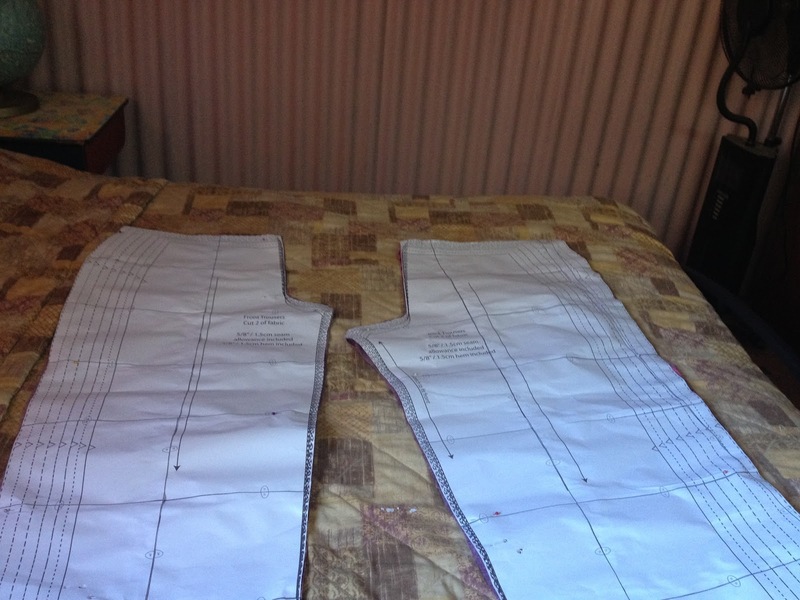 I also found an old single flannelette sheet to try the pattern out on before cutting up the pretty fabric. The pattern sheets all glued together. Shaun helping out with the process. 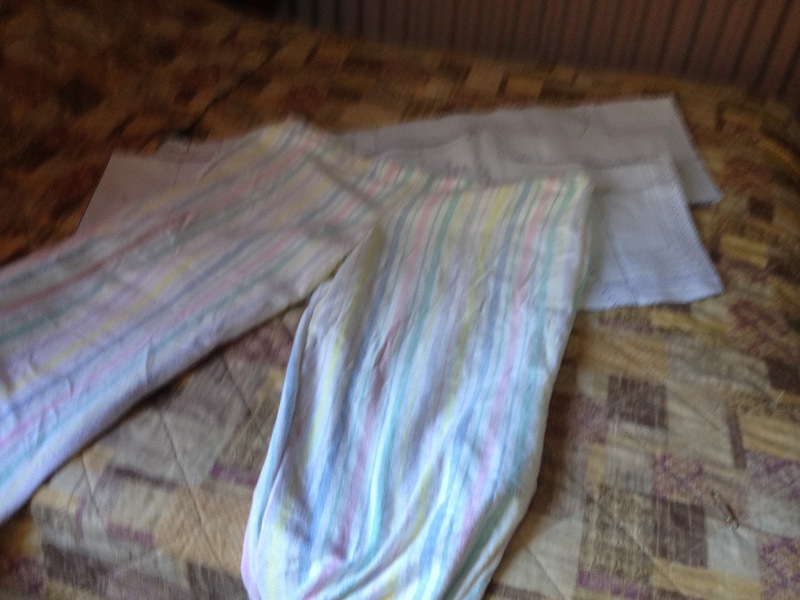 I cut out the flannelette pair and sewed them up as per instructed. The next step is (of course) beta testing, so I wore them around for the afternoon, feeding chooks, chasing sheep, feeding Shaun and sitting in my chair knitting. 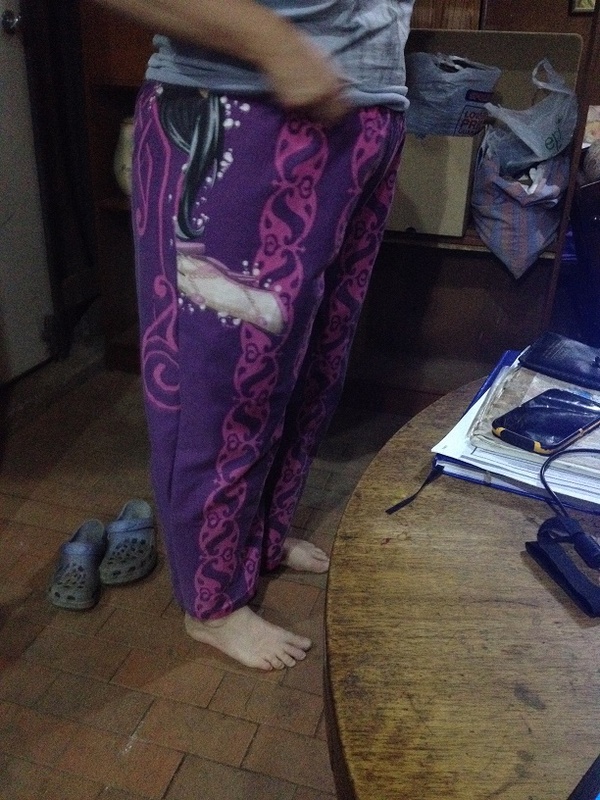 They are comfortable and warm, best of all they don’t expose my bottom to the world at all. I’m really pleased with this new pattern so I think I’ll keep it for future pants making activities. What a stunning piece of machinery she is. The first pair is made. 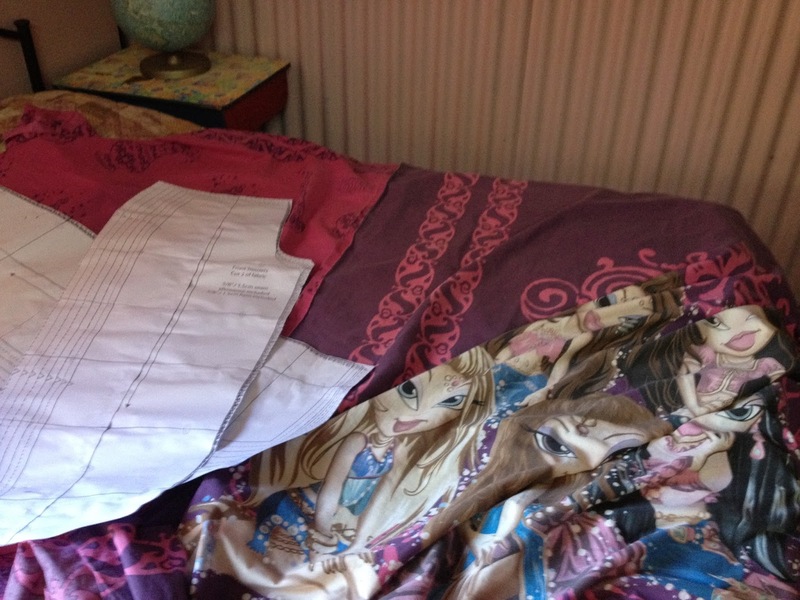 The infamous Bratz quilt cover. The cotton is good quality though and I love the colours and pattern. I just followed the instructions on the download and before I knew it I had a new pair of pants. Yes, I know…..I hate modelling, but I am so proud of this project I thought I’d make an exception. There is enough material left from this quilt to make a summer top or two and a bra. 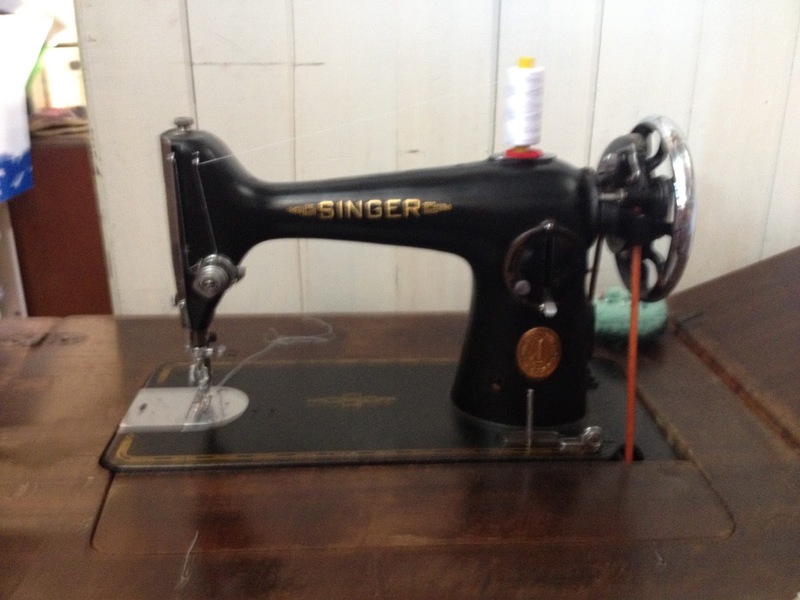 I just love up-cycle sewing.